Other - Crystal Cables, IC & speaker cables. Detailed, tight and super clean behind the rack. McIntosh MC275IV. McIntosh C220. McIntosh D100 > MacMini. Sonos. Clearaudio Performance DC/Clarify. Benz Micro Ace SM. Gold Note PH-10 / Gold Note PSU-10. PS Audio PPP. Crystal Cable. Klipsch Cornwall III. Jorma Origo in main system for speaker cables and interconnects. JPS Aluminata and Wywires Blue power cords there too. Second system very happy with mainly Signal Cable throughout. You can get most of them from my signature line. What you don't see there are the AudioQuest ethernet cables, WireWorld HDMI cables, and the HiFi-Tuning power cord on the TV. 6 pair of Acoustic Zen Silver Ref 2's in XLR. 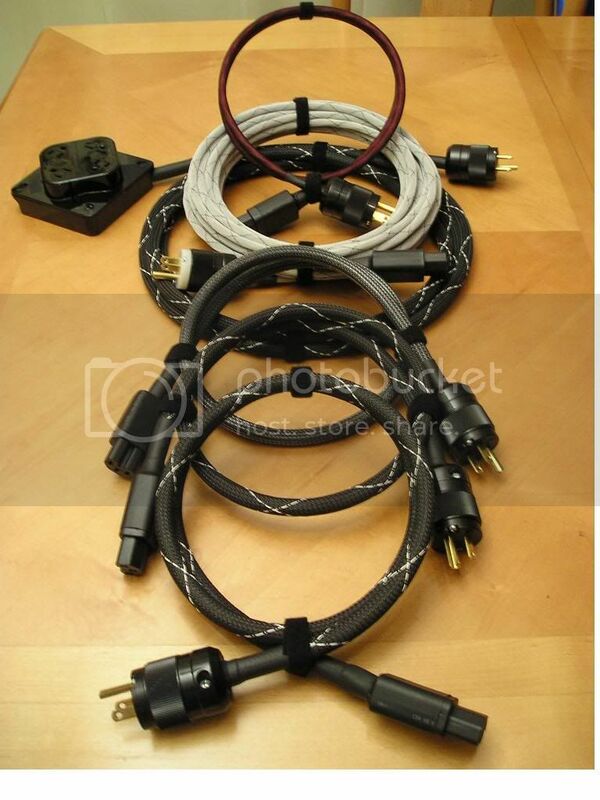 Having 3 pair of custom (SLVR Cardas RCA ends and 18AWG silver wire @ 1M) made for the new Esoteric disc player. Last edited by TMC; 11-16-2012 at 07:50 PM. I use different interconnects, depending on application: Cardas, WW, Kimber, DHLabs, Tara Labs, and something I'm sure I'm forgetting. For my meager system I use Morrow Audio interconnects and speaker cables - level 4's. PS Audio PCs. Nordost and Nirvana as PC for my amps and sources. Ocos as speaker cable and Cardas and Van den Hul as IC's. The last one for my headphone system. Last edited by Echo; 10-20-2012 at 02:10 PM.